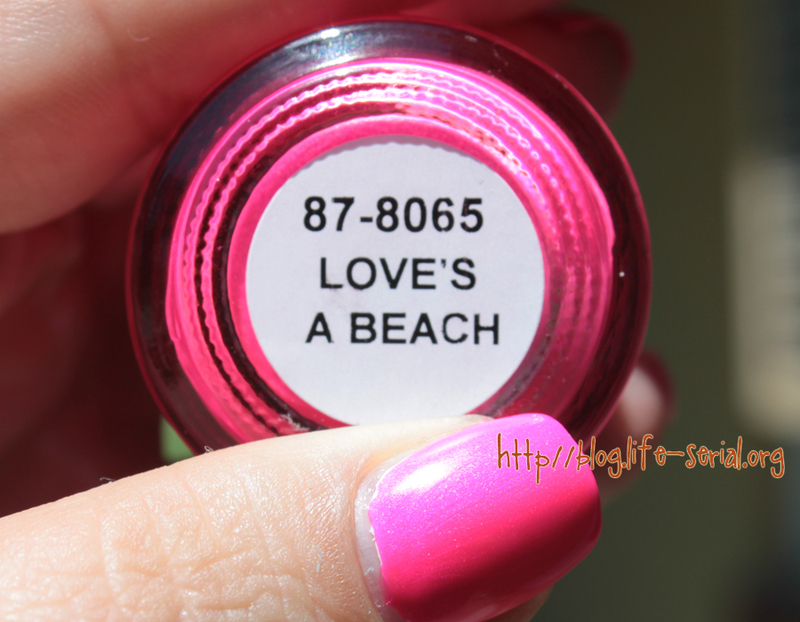 The one with China Glaze Under the Boardwalk and Love's a Beach! 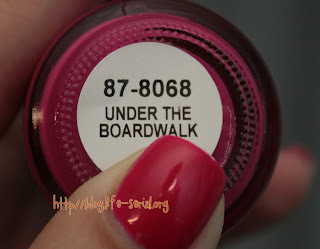 Under the Boardwalk is a bright, grape purple that dries matte (like most neons). I didn't really see this as a neon myself. Aside from the drying matte, anyway. My pointer and middle finger have a coat of white underneath, but the ring and pinky do not. In person, the fingers over white popped out more. Love's a Beach was THE WORST polish to photograph. I tried outside, and it didn't work at all. The first photo is an example of how it turned out outside haha So totally wrong :) See? The outside photos makes the polish look like a duochrome pink-purple. 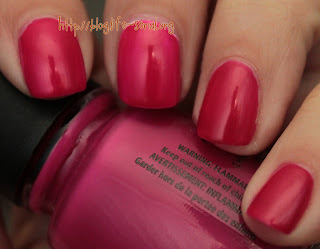 But she's all pink - with the teensiest bit of shimmer! As with the first polish, the pointer and middle finger have a coat of white underneath, but the ring and pinky do not. I had no application issues with either polish. They were one-coaters even! Seriously. 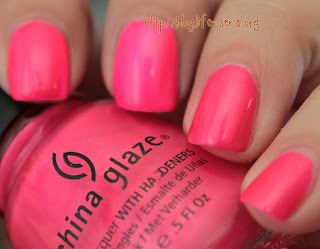 Yes, a one coat neon polish. Who would have thought? 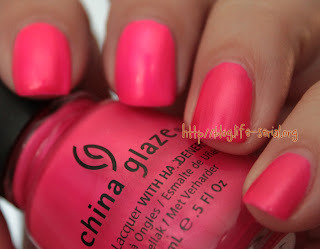 Have you entered the Beauty Blog Coaltion Visa gift card giveaway?